(CNN) - Education Secretary Betsy DeVos said Tuesday that criticism of her position on discrimination in schools is "hurtful" and "couldn't be further from the truth." "I think discrimination in any form is wrong, and I have said before and I'll say again, the department is committed to ensuring that every child has a safe and nurturing environment," DeVos said during a question-and-answer session after her address to the National Alliance for Public Charter Schools. DeVos did not, however, wade into the issue that has prompted the criticism: her repeated refusal to say specifically whether she believes federal funding should be withheld from non-public schools that discriminate. She said at a recent Senate hearing that discrimination on the basis of sexual orientation is "unsettled" law and a matter for Congress and the courts to address rather than her department. 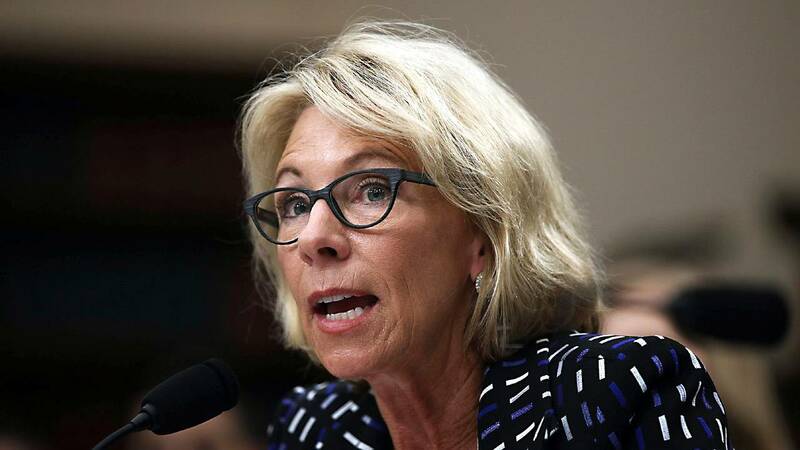 Those questions came after an earlier hearing ‎in May when DeVos was criticized for declining to tell lawmakers whether federal funding for state-run voucher programs would be pulled from private schools that discriminate in admissions. DeVos has previously voiced her opposition to discrimination and said federal law would apply to all schools receiving federal funds while declining to be more specific. Speaking to an audience of charter school educators and supporters Tuesday, DeVos urged them to keep innovating rather than becoming another complacent generation of education bureaucrats. "Charters are not the one cure-all to the ills that beset education," DeVos said, adding, "I suggest we focus less on what word comes before 'school' -- whether it be traditional, charter, virtual, magnet, home, parochial, private or any approach yet to be developed -- and focus instead on the individuals they are intended to serve."